The Republican National Convention kicked off Monday in Cleveland, and 36 of Alabama’s delegates are bound to support Donald Trump as the presidential nominee on a first ballot. The delegates — 50 total from the Yellowhammer State — are a mix of party officials and elected officials as well as rank-and-file Republicans. The Republican National Convention runs July 18-21 and Trump is slated to be named the Republican nominee. In the wake of police violence across the nation, Alabama’s delegation will wear blue ribbons in support of law enforcement. Many delegates, as well as attendees from across the state, are hopeful Trump will address national unity in his Thursday night acceptance speech. Among those attending is Alabama Today Publisher and Vice President of the 60 Plus Foundation, Apryl Marie Fogel. 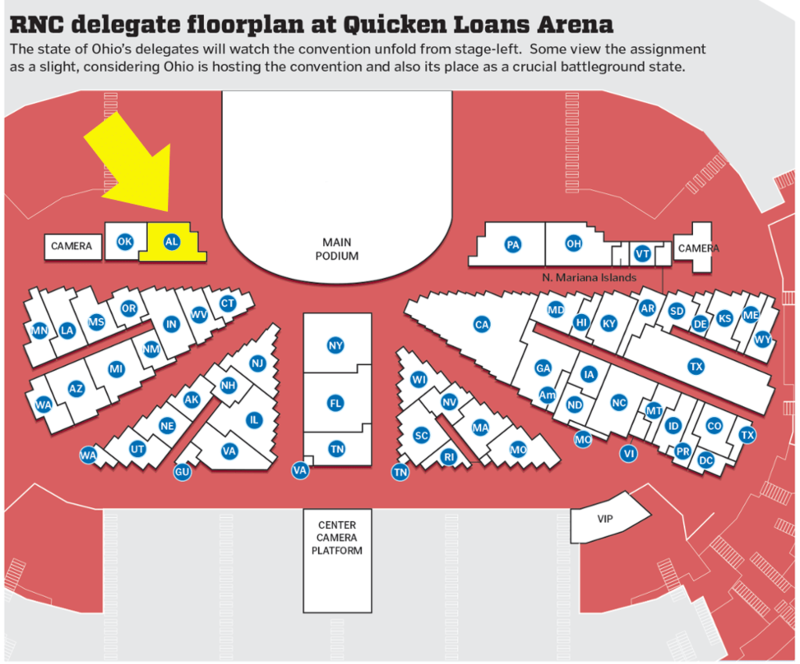 While not centerstage, Alabama’s delegates have a prime seating spot at the Convention, situated front and center directly to the left of the convention stage with an unobstructed view of the stage. Delegate: Frank H. Long, Jr.